Natural Traditional Healthy Cooking with flavors from natural herbs. Nutritional home cooked Greek food has been proved by researchers to lessen health problems. The answer is to cook and eat a wide variety of minimal processed foods to cover all the nutritional bases. The beauty of genuine Greek cooking and eating is using a good amount of extra virgin olive oil rich in oleic acid. Legumes are rich in vitamins, vegetables high in vitamins and fibres, the probiotics in yogurt, cheeses, antioxidants in red wine, whole wheat breads, cold-pressed vegetable oils along with good exercise such as walking all increase “good” cholesterol and a healthy heart. Eat moderate portions and now and again spoil yourself with a Greek desert, baked with nuts and semolina. 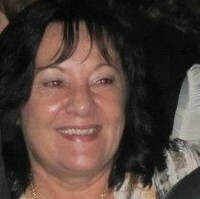 Anna Othitis lived and was raised in the beautiful land and country of Zimbabwe, Africa (home will always be home. She left all of her life long memories, endless charity work and good people behind vowing that she will continue supporting the needy children in her land Zimbabwe, Africa and beyond. 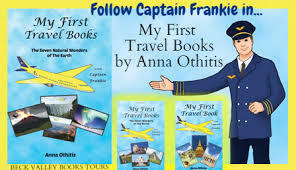 Her husband George, sons Johnny, Elia and Frankie encouraged her to write her first children’s book titled “My First Travel Book”, inspired by Frankie (Captain Frankie), who is graduating from his Masters degree in Aeronautical Science and beginning his career as a professional pilot. Anna’s favourite saying is “Be Bold Be Brave”.She was inspired to write her children’s books with a vision to link up the children of the world with magical flights to so many beautiful places of interest and popularity on our wonderful planet Earth with all its beautiful some natural and some man made creations and resources. One of the beautiful natural wonders featured in her books is in her birth land of Zimbabwe “The Mighty Victoria Falls” All of her books educate our children and widen their scope of interest in the amazing surroundings, creations and nature to appreciate and look after our environment for many generations still to come. So come along and fly these magical flights with Captain Frankie and Anna! I decided to write because I love teaching young children and giving them my knowledge. Children have to be taught to read from a young age and they love books, they have curious little minds. I started writing at a young age, but I only published a few years ago when I came to the USA children were curious and had questions of the world beyond them, they did not realise and know that there was a world bigger than theirs. I have learnt to be patient when it comes to selling and learnt that a lot of tweeting and push is needed to get my work and books known. We did not have this technology in Africa, so this was all new to me. Self publishing is also something I learnt to do. Yes I do as I like and have to get my facts right as I am writing for children that are absorbing interesting information in my books. 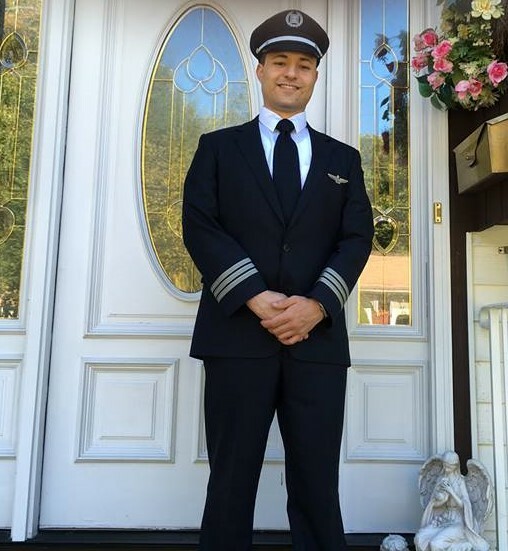 I draw my inspiration from our son Captain Frankie who is the main character in our children’s travel books and from my family in general as well as my autistic student children that I love to teach and read to. Yes when I travelled to Greece at a young age I was curious and fascinated that one could see other parts of the world and fly in the sky with an aeroplane. I loved discovering and being adventurous, curious about other cultures around the world. I love to teach the children of the world and especially the unfortunate children of Africa who are unable to travel to the rest of the world due to poverty. They love to learn and hear about the world and beyond them. They love to watch aeroplanes flying above and wonder where they fly to and their purpose of being in the deep blue skies. 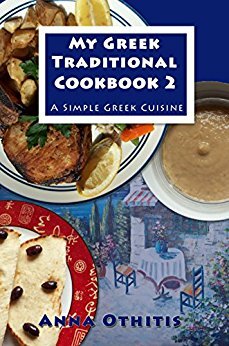 I have written 4 children’s books and two Greek recipe books. What is your favourite quote from a book? Any tips for aspiring authors? Be proud of your work and never let anyone bring you down you have a unique talent and work on it. “Be bold and be Brave” my favourite quote in life. Any time you can teach a child something new without them realising that they are learning, then you are onto a winner and this story manages this really nicely!! This sweet little book is a great book to read with your young children. It will entertain toddlers and is also simple enough for early readers to be able to enjoy alone. Filled with interesting facts and adorable illustrations it’s a fun way to share trivia and information about other countries with your child. I would definitely recommend it! I thought I knew everything and so did my son. That is until we read this book! Filled with interesting places and educational facts, we got to learn more about places we had visited. We also learnt about places we had never been to before. Now we want to visit those places desperately! What made this book even more special was the poems, quizzes and the beautiful illustrations. Together with the facts, poems, quizzes and the friendly pilot, this is a highly educational and entertaining read! This is the perfect children’s book for bedtime with a kid that LOVES to procrastinate going to sleep. It took us less than 5 minutes to read and it was mentally stimulating enough to make him sleepy. But more than that! This little book inspires our little dreamers to one day travel the world. If enough kids read, and open their minds and hearts to new cultures and experiences, perhaps they will have a better chance of making this world a peaceful and better place. Maybe they will look after our beautiful world better than we ever could. Perhaps our future generations will succeed where we have failed. Excellent book for younger children!! I was able to show my kids some of the different wonders of the world without leaving the comfort of my living room! It was entertaining and educational and I would recommend it to all parents trying to immerse their kids in educational and fun reading. I am really looking forward to the next book. After reading/reviewing a slew of adult books I felt the need to start reading/reviewing books intended for the inner child in me; books which would allow my inner child’s imagination to blossom and flourish, while at the same time educate my mind with interesting new places and facts. After perusing Amazon for children’s books I found three books written by Anna Othitis which would satisfy my desire to be a child again, reading a book intended for me.Being a child of the 1950’s when I wanted to play with my friends; besides playing all the regular games we loved to play, we would ultimately wind up playing pretend or make believe sometimes for hours. 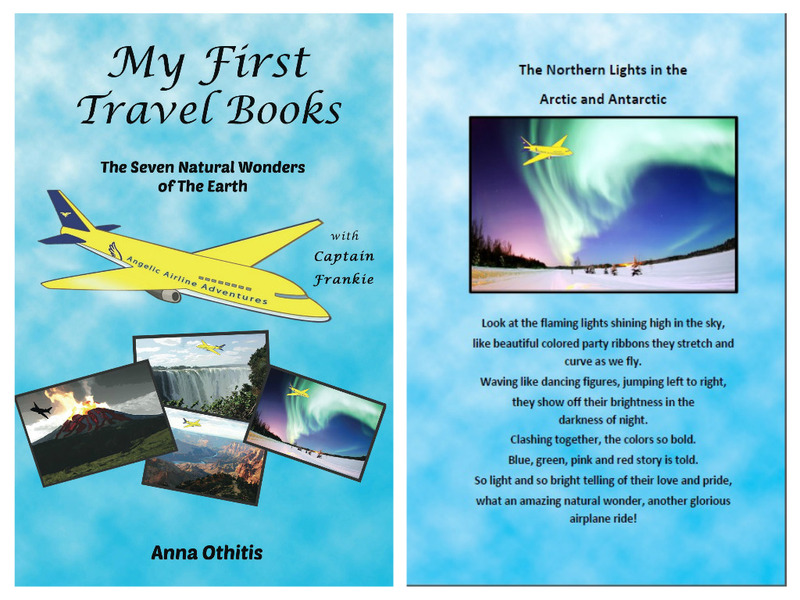 In “My First Travel Book” not only did I get, or any reader will get, is to pretend we’re on a plane with Captain Frankie who will take us to several places around the world so we can learn about them. The book begins with showing the flags of the various places its readers will be taken to. Arriving at each of the planned destinations readers will be given a poetic description of the place/site, followed by information about is being seen. And to make sure everyone reading the book understands what they’ve been taught, Captain Frankie then asks questions about it. Little traveller best book buddy to carry anywhere in a trip. My summer babe who’s 8 loves to read this book. I let her read the book and tell me the story. We were happy that our famous tourist spot Niagara Falls is mention in the book. We lived about 45 minutes drive from the famous waterfalls in the world. She also learnt different countries and continents aside from USA. This book is amazingly beautiful. The illustrations are so beautiful. I know that all kids will LOVE reading this book. 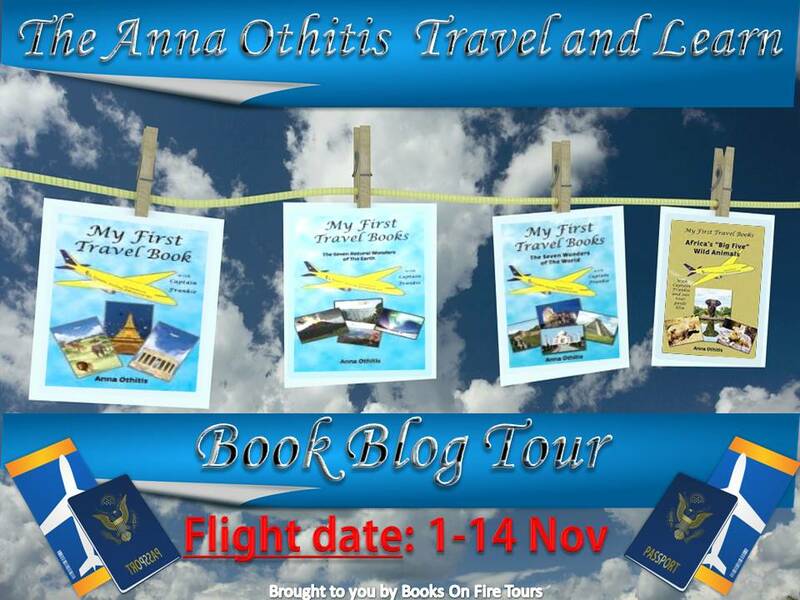 My First Travel Book by Ms.Anna Othitis is now part of her book collections in her room. It is now part of her bedtime story to read. I highly recommend this book to all the kids who only not loves to travel but would love to explore the world by reading each pages. There are many beautiful places to learn and explore about this travel book.Frankie the pilot is very friendly. All the kids will have a fun ride and travel with him. You will also love the name of the airlines. It is one of the sweetest airlines my summer babe reads. Kids before you travel and maybe your first time in an aeroplane, do not forget to tell your parents to grab this book. It will help you to enjoy your plane ride and explore places you never imagine. ENTER THIS GIVEAWAY & GET YOUR KIDS THEIR PASSPORT TO ENTERTAINMENT AND EDUCATION! as many times as you like! The two (2) people with the most tweets will be chosen as the winners! Don’t forget to add your email in the Rafflecopter form above at least once, so we can get hold of you! 2 x Kids I-pad Air 2 TO BE WON!